1. Load up the Google Play Store App, search for strongswan. 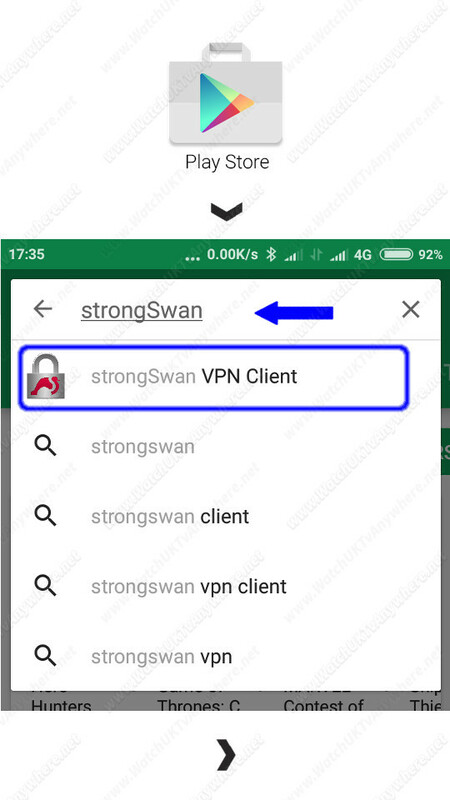 Select a free app called strongSwan VPN Client by strongSwan Project and Install it.